For the Ottawa Minor Hockey League’s Leitrim Hawks, this was supposed to be a regular Wednesday night practice. However, NHLPA members Zack Smith (Ottawa Senators) and Grant Clitsome (Winnipeg Jets) knew that something a little different was about to unfold. 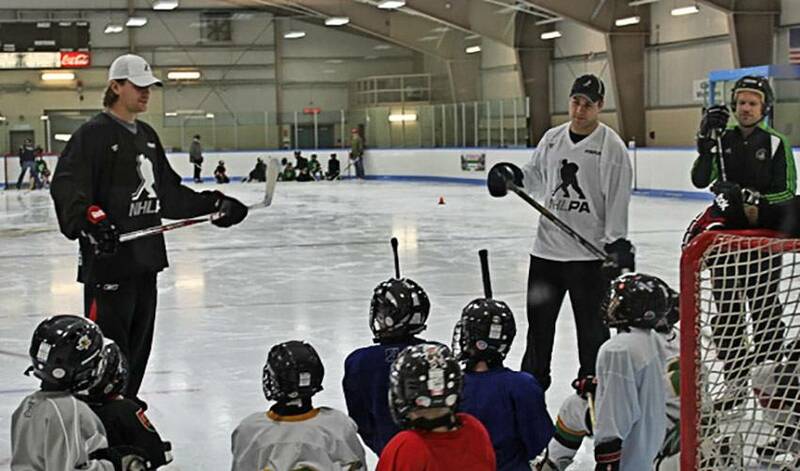 In the most recent example of Players surprising local minor hockey teams, Smith and Clitsome were on hand for the Hawks’ Wednesday evening practice session in Ottawa. Over the course of the practice, Zack and Grant assisted the teams’ coaching staff, putting the young players through a few drills and helping them refine some specific skills. Following practice, Zack and Grant stuck around to hang out with the team and their parents, answer some questions and sign autographs for the awestruck team. This was undoubtedly a memorable event for the young players, as one team supporter said,” the kids will remember this for years to come”. Ottawa's Deputy Mayor Steve Descroches (whose son plays on the Hawks) was also in attendance.